Computer programming is set of instructions to perform certain task. Computer programmers work under an assortment of titles, including system analyst, Web programmer and application programmer. In present days Computer technology advances at a fast rate, keeping the demand for computer programmers at a high level. If you want high pay then talent of programming will be very useful in getting higher salary job. Programming is difficult, but not impossible. You’ll be able to create a few simple programs within days. 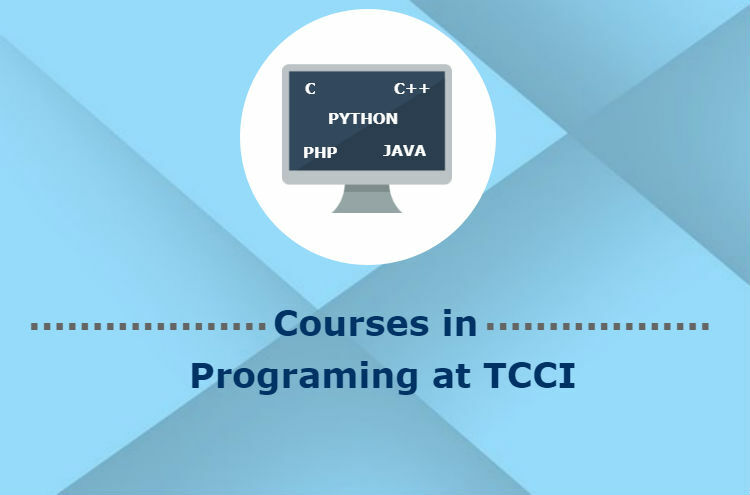 TCCI-Tririd Institute provides you training for all of these courses in Bopal and Satellite in Ahmedabad. You can take advantage of our courses at minimal charges at any time.